Philips has developed a new monitor called 275P4VYKEB that sports a 27-inch display that works at 5K resolution (5120 x 2880 pixels). The new monitor will be demonstrated along with other models at the upcoming Integrated Systems Europe (ISE) event scheduled for February 9-12 this year in Amsterdam, the Netherlands. 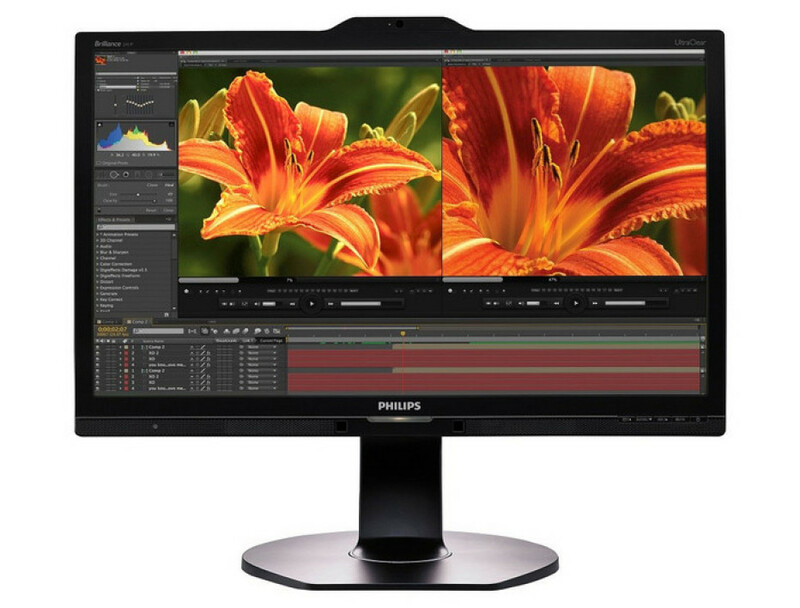 The new Philips 275P4VYKEB monitor sports the so-called PerfectKolor technology that allows the display to cover 99 per cent of the Adobe RGB color space with no additional tricks or techniques. The Multiview technology, on the other hand, allows users to split the display into several pieces in case of need. In addition to this the Philips 275P4VYKEB comes with a built-in web camera and speakers. Next to the 275P4VYKEB Philips will present the 241P6VPJKEB monitor, which sports a 23.8-inch display that works at 4K resolution. The monitor can present more than 1.074 billion colors while covering 99 per cent of Adobe’s SRGB. Just like the previous model, the 241P6VPJKEB comes with built-in web camera and speakers. These two models will be accompanied by three more devices of the same kind – the Philips 241P6EPJEB monitor comes with SoftBlue technology for reduced power consumption and longer life while the Philips 221S6QUMB and 231P4QUPES can be used as dock-stations and this is their main perk.